With pre-season just around the corner it’s been a busy time for head coach Dale McCulloch as he looks to strengthen his squad for 2017. The Coach has been delighted the way things have been going, with 20’s coach Mark Scanlan and new 18’s coach Dean Pickering boosting the coaching stocks, and signing defender Nathan Diaz. “I’ve always said if you’re good enough to play in the first team you will get the chance here, however old, or young you are,” McCulloch said. “I’ve worked with all these players in academy and I’m delighted they have returned home, and Mark and I have been working hard to bring our former players back, who were brought up in our academy structure. 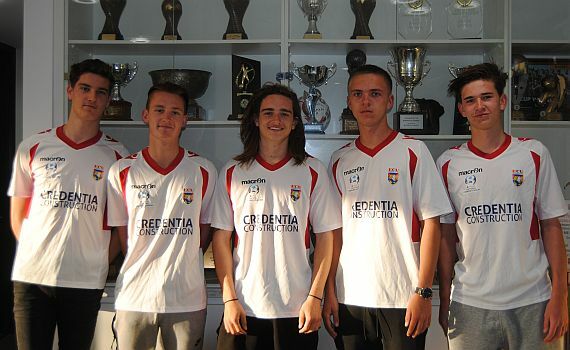 “We have a great reputation of developing players through our academy and these boys left to join Perth Glory and other NPL clubs, but they have decided to head back, and we’re delighted to have them, and if they train hard and show me they are ready to play in the first team they will be selected.